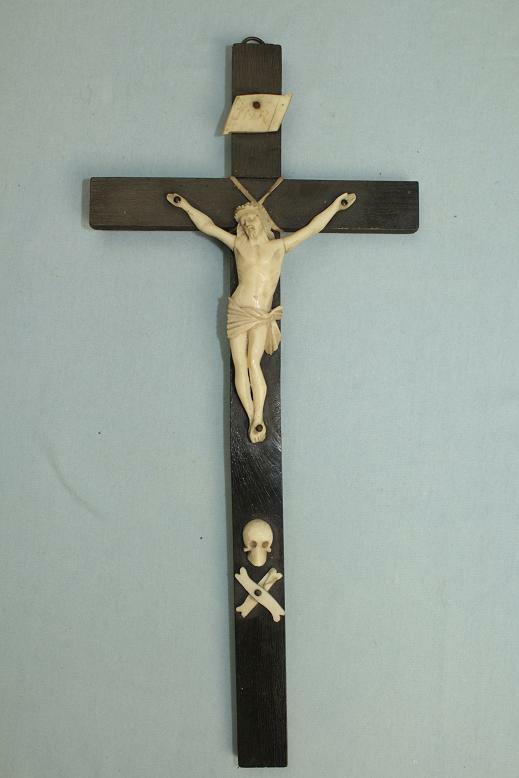 A fine ivory and ebonised timber crucifix. This fine piece of religious art remains in fine condition throughout. 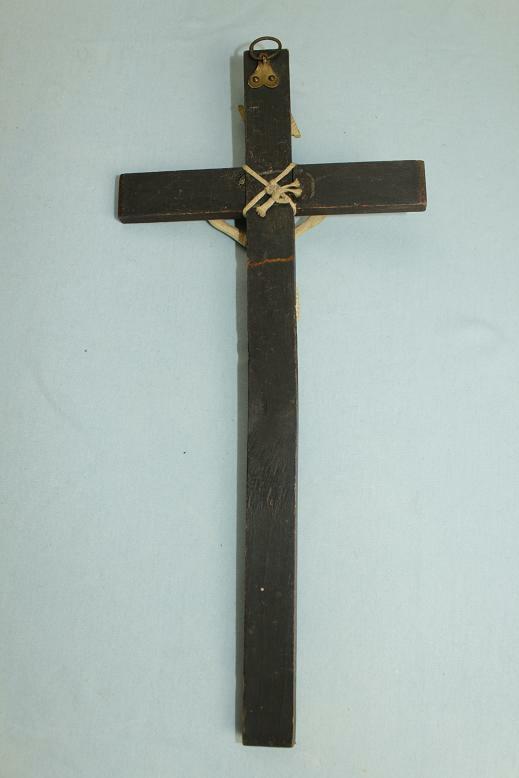 The cross stands 26cms tall and just under 12cms across. "IESVS NAZARENVS REX IVDÆORVM" or "Jesus the Nazarene, King of the Jews". 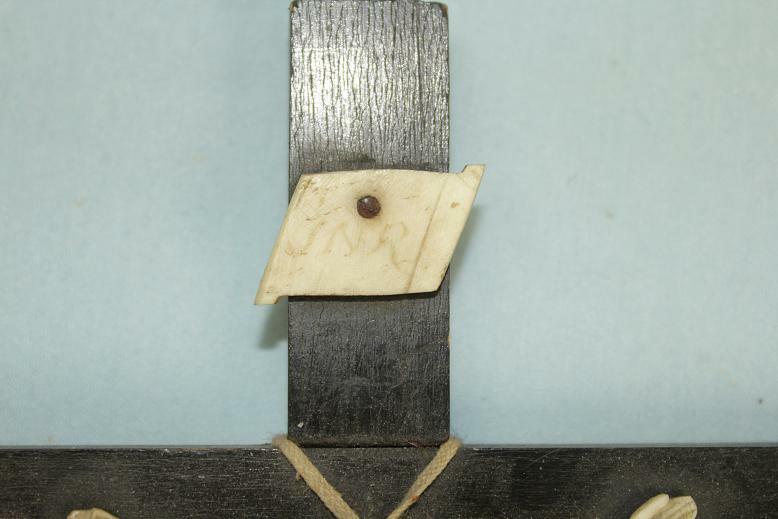 Below this scroll is the corpus dressed in a crown of thorns and loin cloth, nailed to the cross. 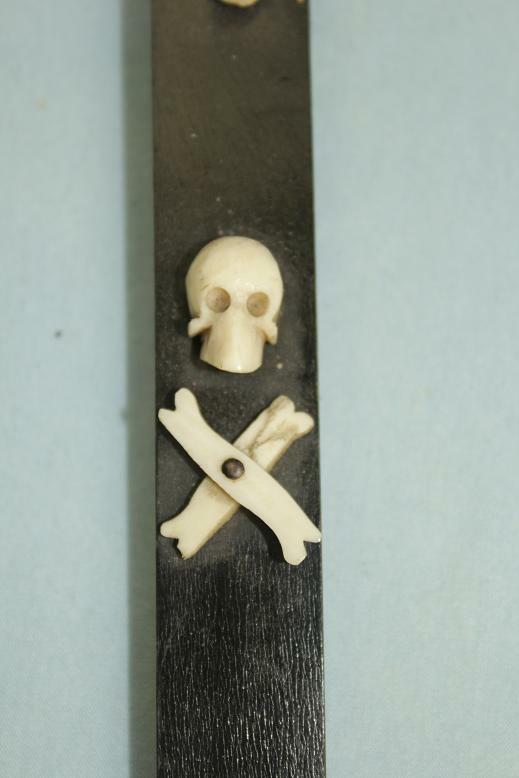 Below the feet of the corpus is a skull and crossed bones, most commonly being representation of the skull of Adam. 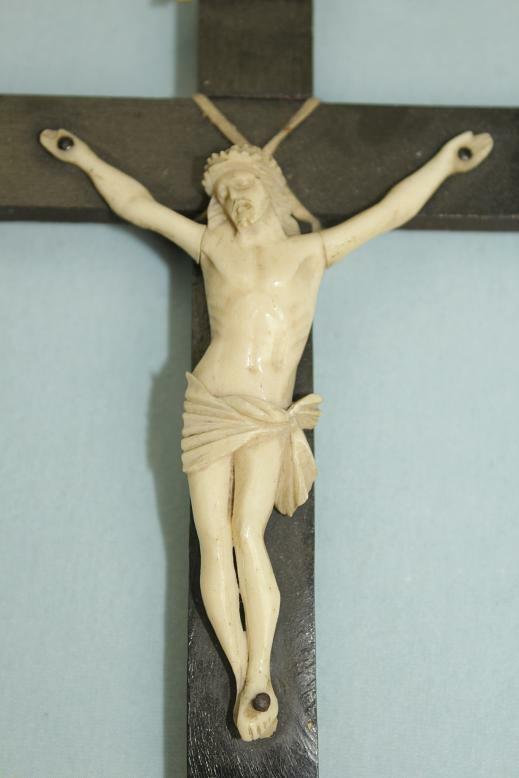 A very fine example of an ivory mounted crucifix.